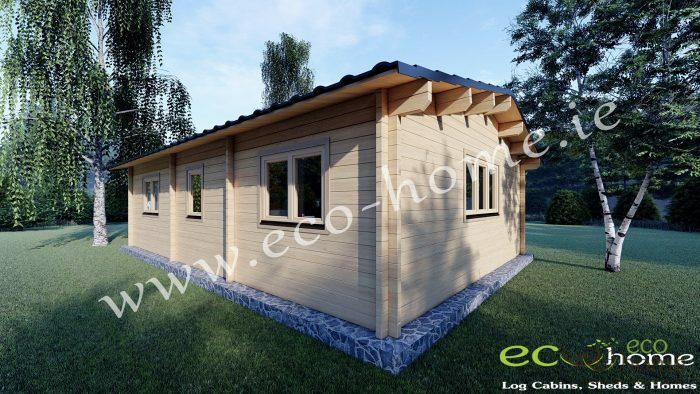 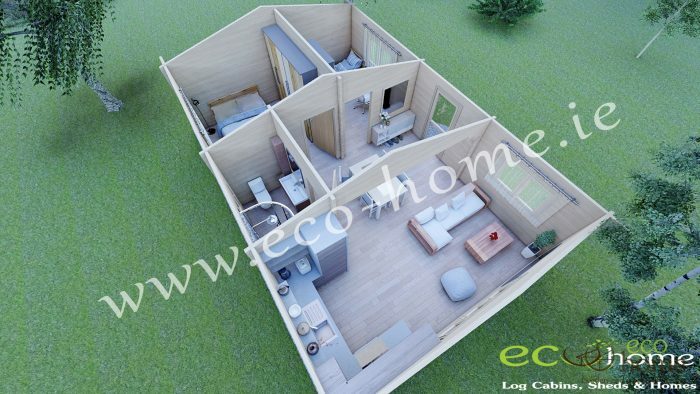 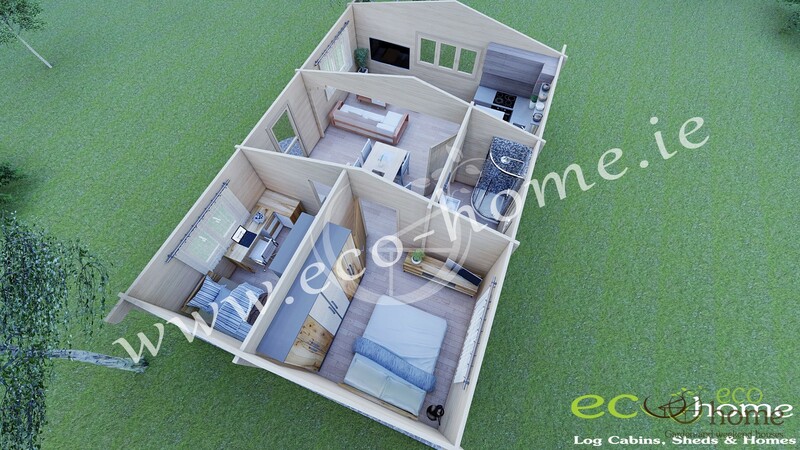 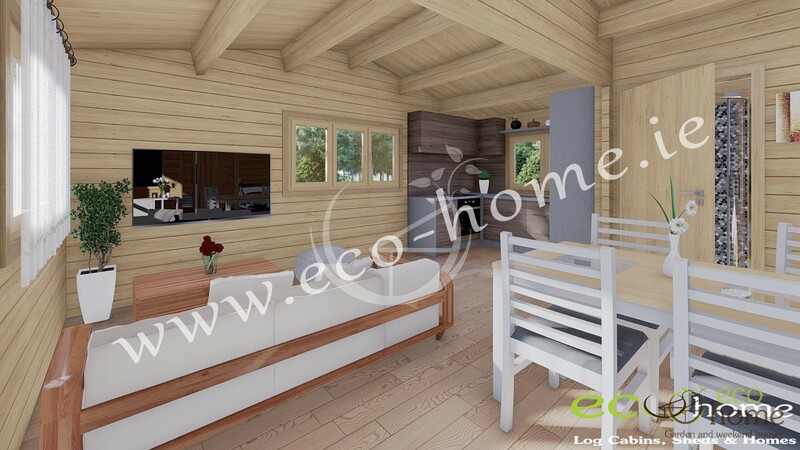 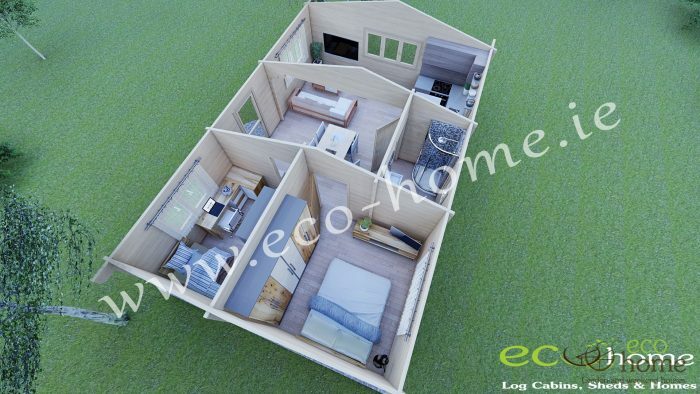 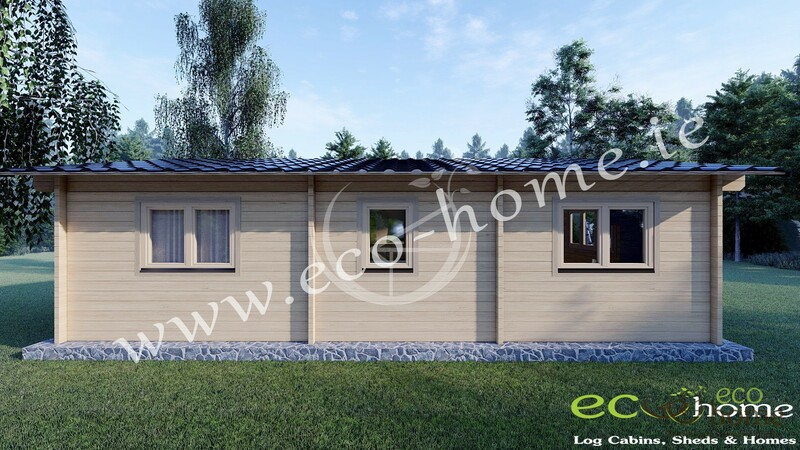 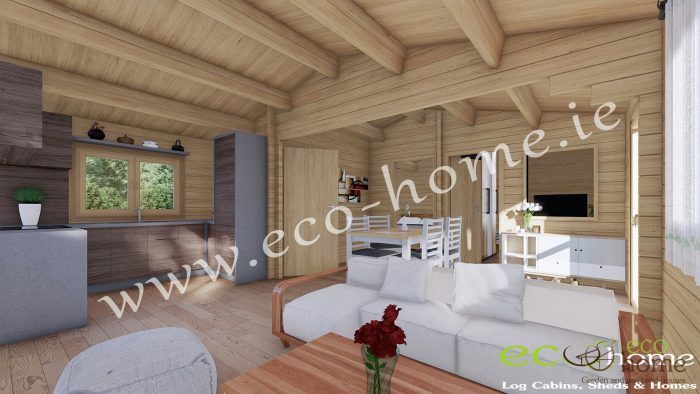 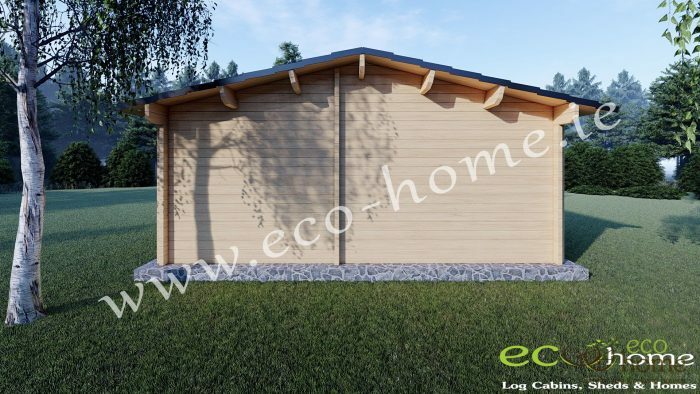 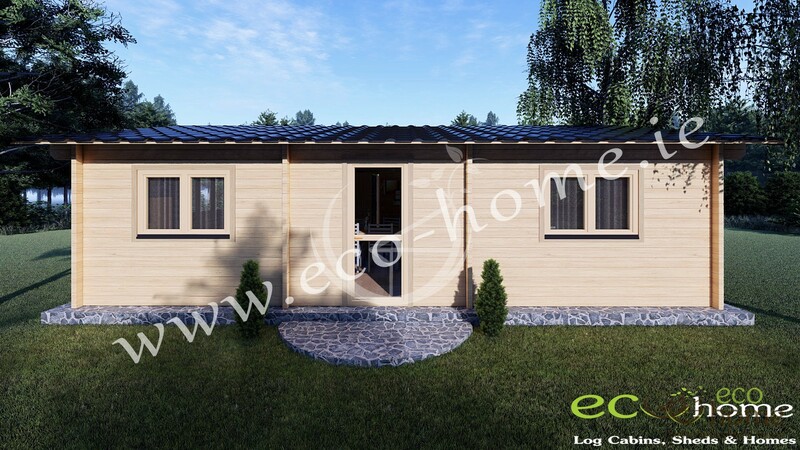 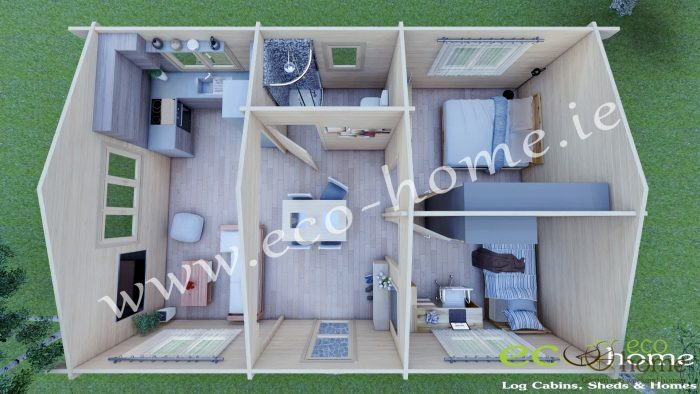 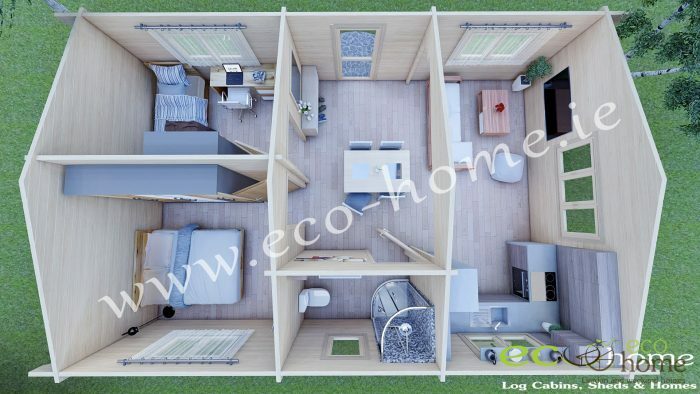 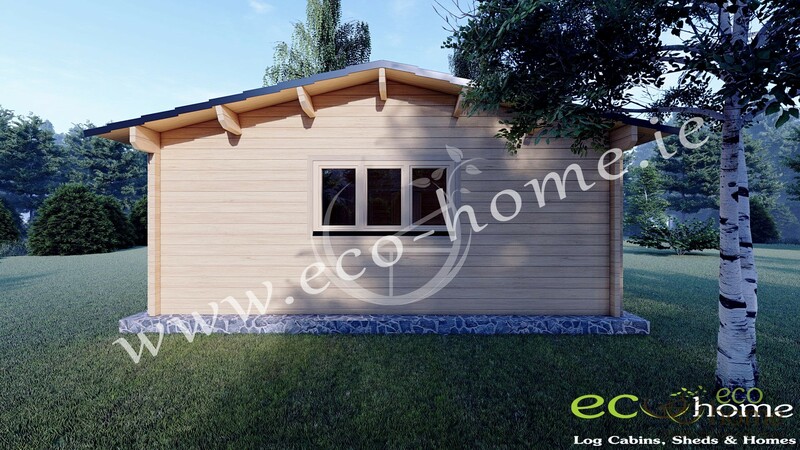 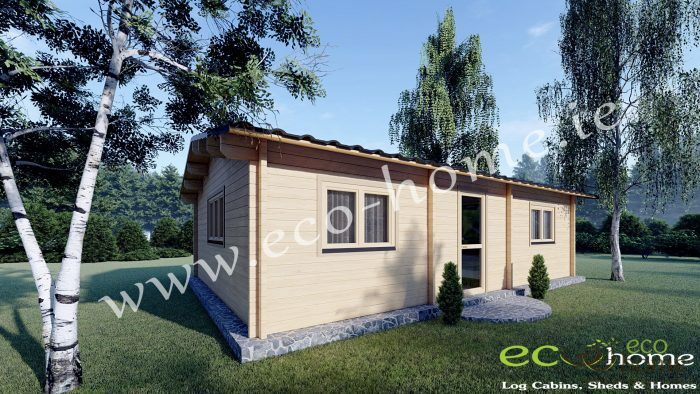 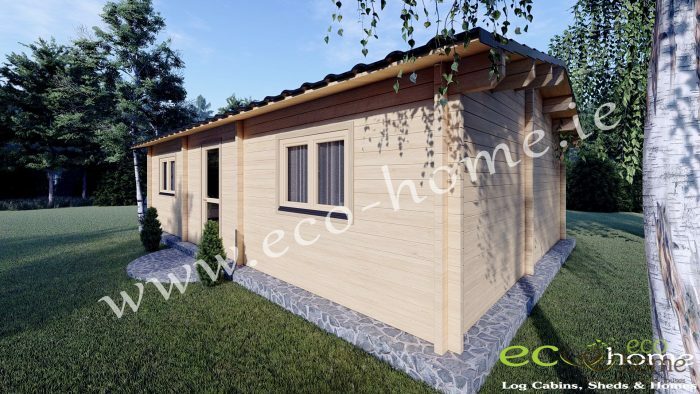 The Eco two bedroom log cabin A is a quaint residential home for a small family, couples or for one person to live in and are the most popular two bedroom log cabin in Ireland. 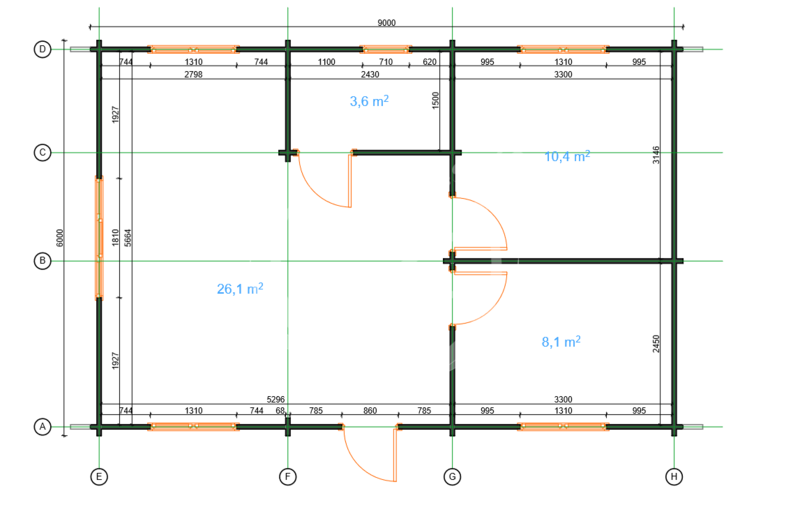 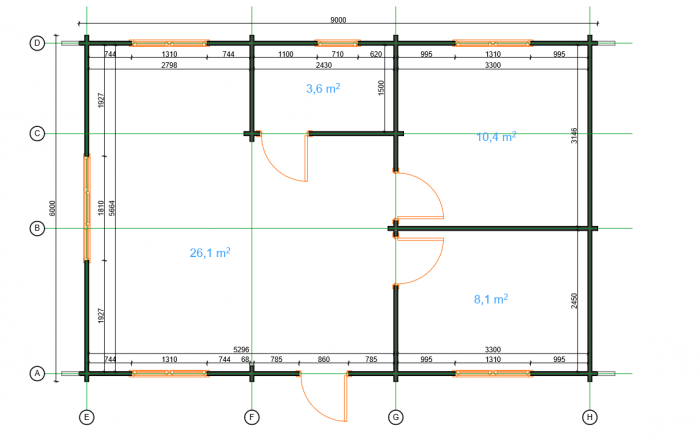 This fully insulated log cabin would not only provide extra accommodation and living space to your existing home but would also make a wonderful retreat to be enjoyed all year around for multiple uses such as a home office, a play room, a den or even a home gym. This log cabin has one spacious open plan living room/kitchen to the front, two large bedrooms to the rear and one bathroom.